Allen TX area teeth whitening is a popular cosmetic dentistry service that The Plano Dentist provides in-office or through a take home kit. Results vary, but most patients experience significant lightening that lasts up to a year. Our Allen TX teeth whitening clients affirm that a whiter smile boosts self confidence and can take years of wear and discoloration away to reveal a brighter smile. Teeth whitening and teeth bleaching, however, mean two different things in Allen TX cosmetic dentistry. Surface cracks and stains occur on tooth enamel, exposing the yellower dentin below the surface. Discoloration can be the result of the natural aging process, illness, genetics, or dark colored food or drink. Foods and beverages that are both dark colored and acidic – like wine, coffee, and tomato sauce – have even greater staining power. Teeth whitener can refer to any product used to remove stains from tooth enamel: toothpaste, do it yourself strips, and certain mouthwashes are safe and inexpensive and can turn teeth whiter with continued, regular use. The extent of whitening varies, and it takes dedicated, consistent use to see results. Whitening products that do not contain bleach can usually make teeth two to four shades lighter. These are a good choice for Allen TX men and women with sensitive teeth and gums that can react to products containing harsher whitening chemicals. For pregnant or nursing mothers, the non-bleach whitening products are the safer choice. Teeth bleaching is used to describe a tooth whitening product that contains a form of bleach, either hydrogen peroxide or carbamide peroxide, in varying concentrations. 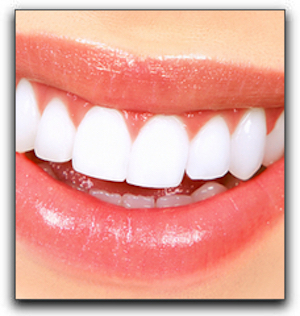 For best results, teeth bleaching should done in-office by your Allen TX cosmetic dentist. Bleaching can achieve more noticeable results, sometimes up to seven shades lighter. Intrinsic stains on the dentin, as well as surface stains can be effectively lightened under an experienced Allen TX dentist’s supervision. Dr. Isabella Mejia specializes in teeth whitening, teeth bleaching, porcelain veneers, dental crowns, and complete smile redesign. Call the comfortable team at The Plano Dentist to schedule a consultation! Bright, sparkling teeth make you want to smile all the time. Help Me Plano; I’m Afraid Of The Dentist!